Supplied in 10mM sodium HEPES (pH 7.5), 150 mM NaCl, 2 mg/ml bovine serum albumin (BSA) and 50% glycerol. Store at –20°C. Do not aliquot the antibodies. 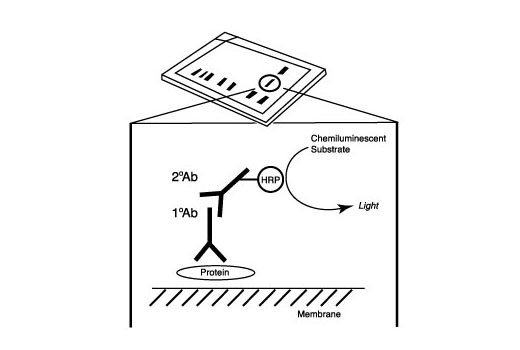 Affinity purified horse anti-mouse IgG (heavy and light chain) antibody is conjugated to horseradish peroxidase(HRP) for chemiluminescent detection. This product is thoroughly validated with CST primary antibodies and will work optimally with the CST western immunoblotting protocol, ensuring accurate and reproducible results.